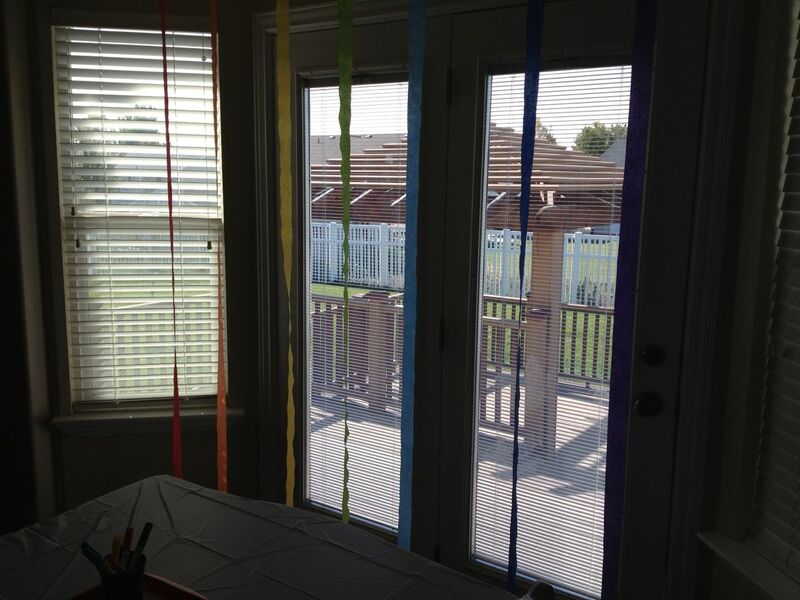 My daughter is obsessed with rainbows. 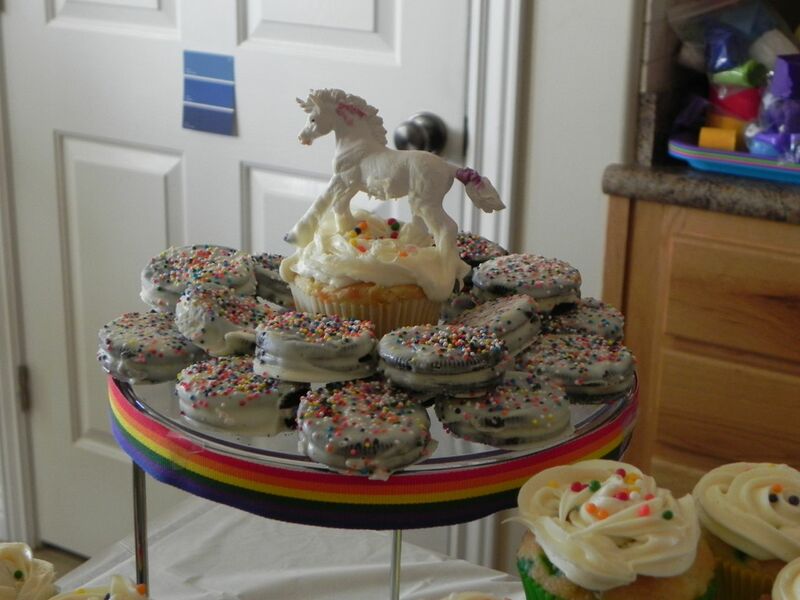 And unicorns. And her birthday is on Halloween. 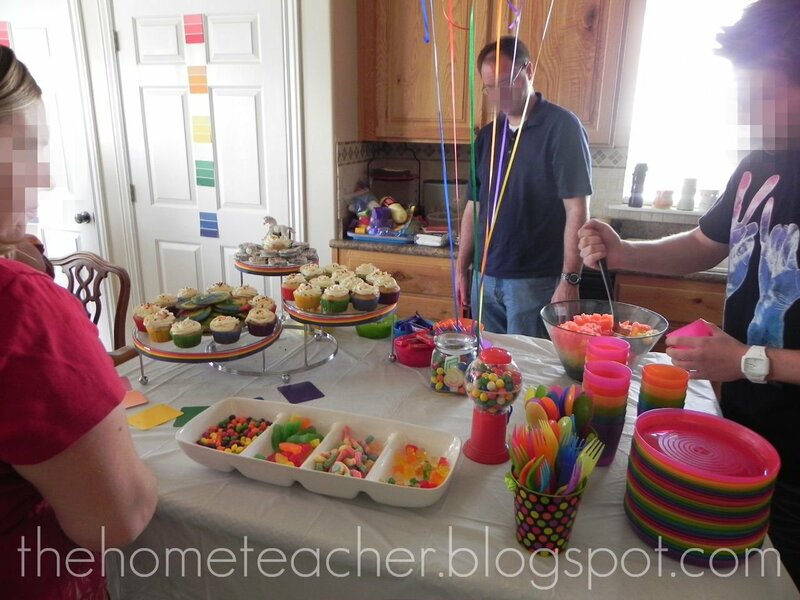 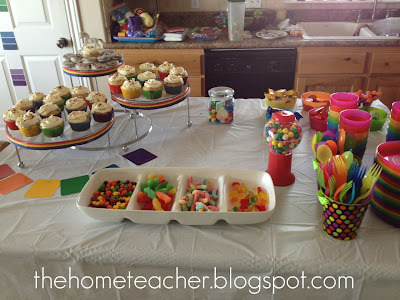 I wanted to incorporate all of that into one party theme…. and this is what I came up with. 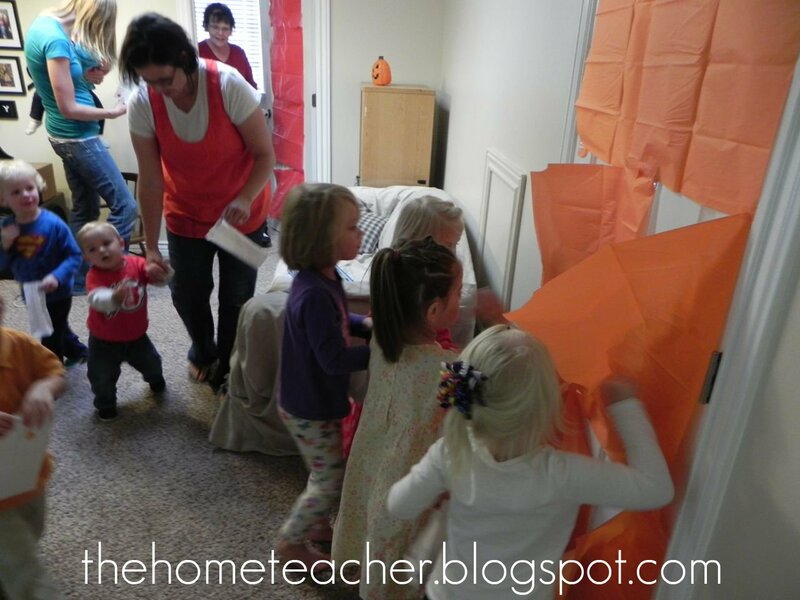 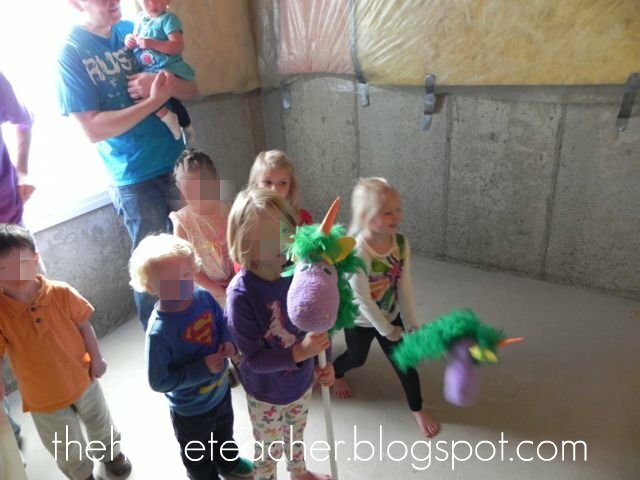 A Rainbow Unicorn Halloween Party! 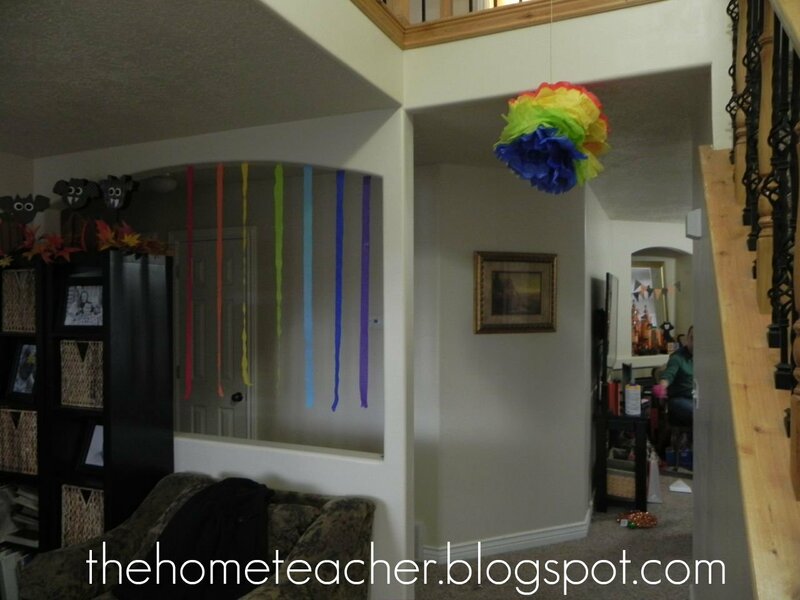 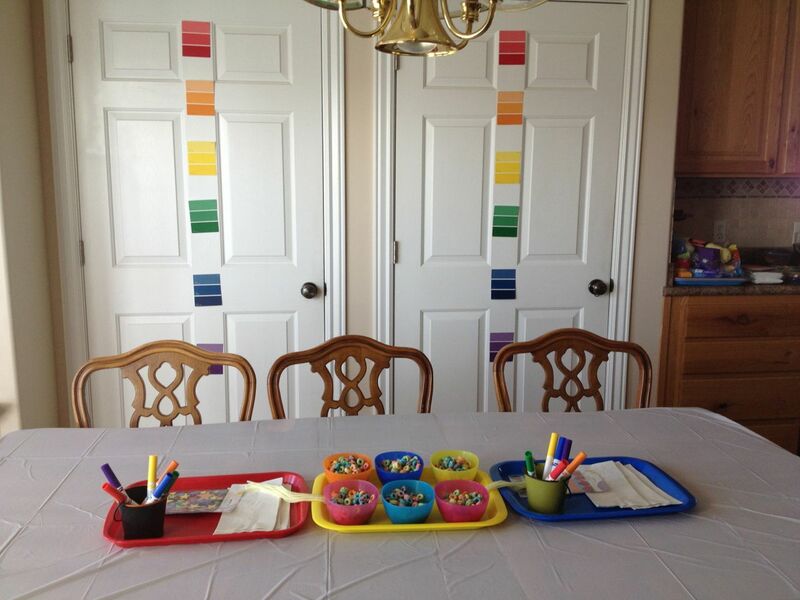 Rainbow streamers, paint card samples, and pom poms everywhere. 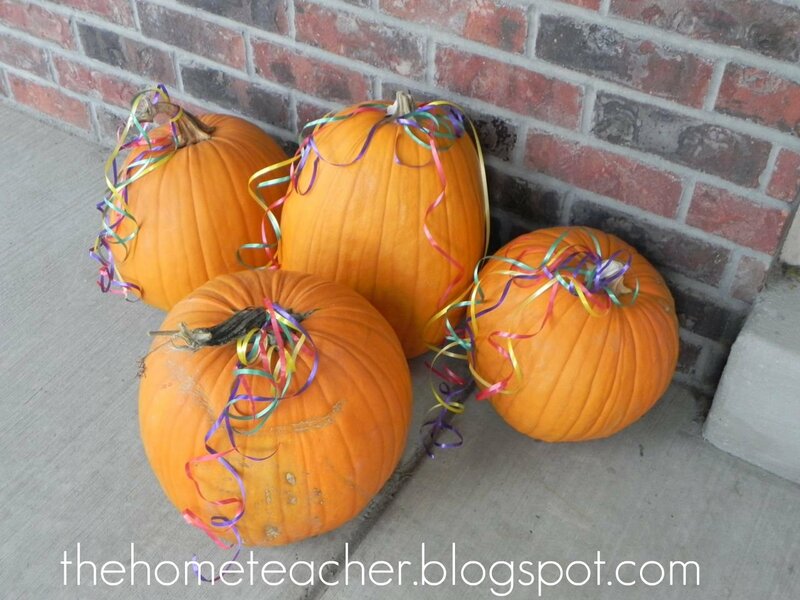 Even the pumpkins on the front porch were decked out in colored ribbon to fit the theme. 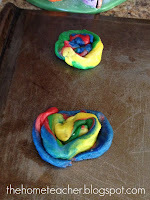 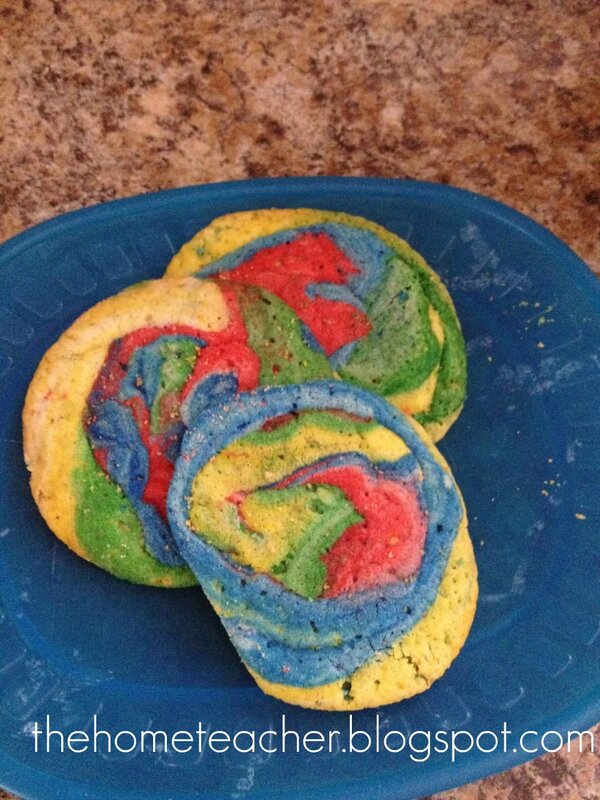 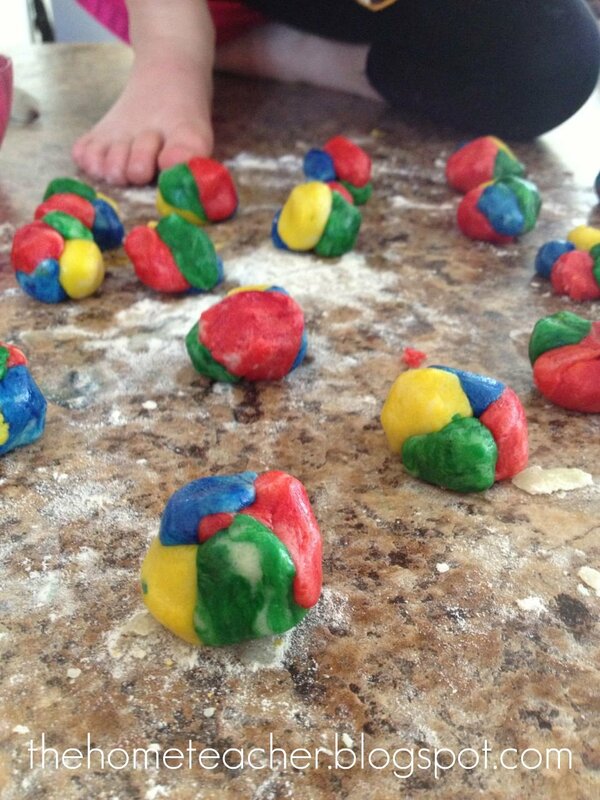 We made rainbow cookies by adding food coloring to different sections of the dough, sectioning them into little beach balls, rolling those balls into a snake, and then spiraling the snake into a circle. 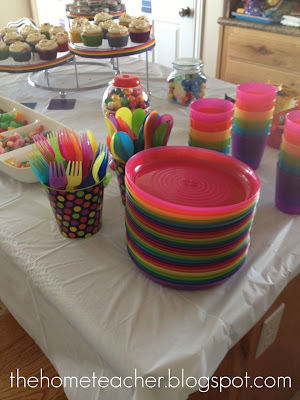 One useful idea: Use Ikea plates/cups/utensils instead of purchasing paper products. 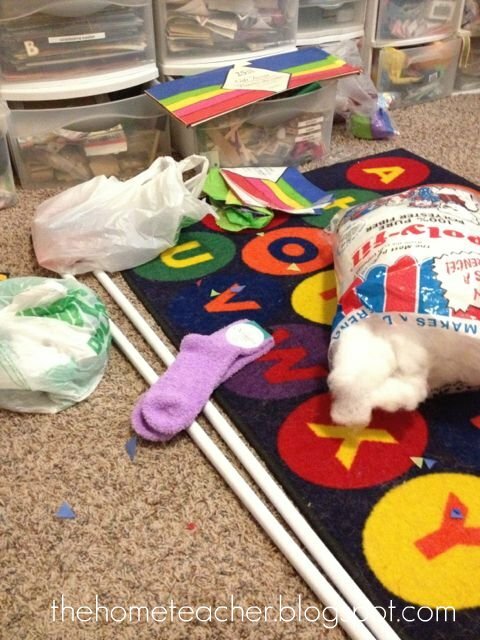 They are better for the environment, pretty stinking cheap, and you can use them again and again! 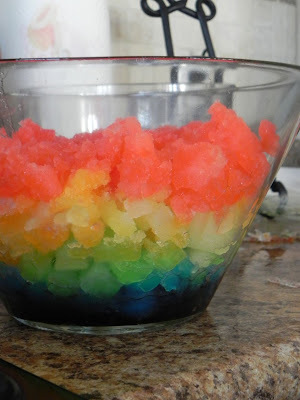 Plus they are in the rainbow colors- perfect for our theme! 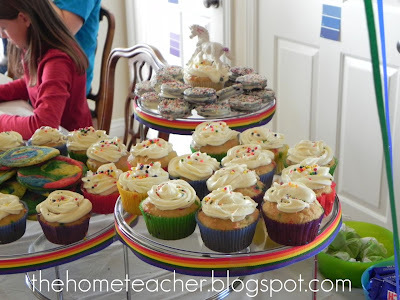 Cupcake stand decorated with rainbow ribbon. 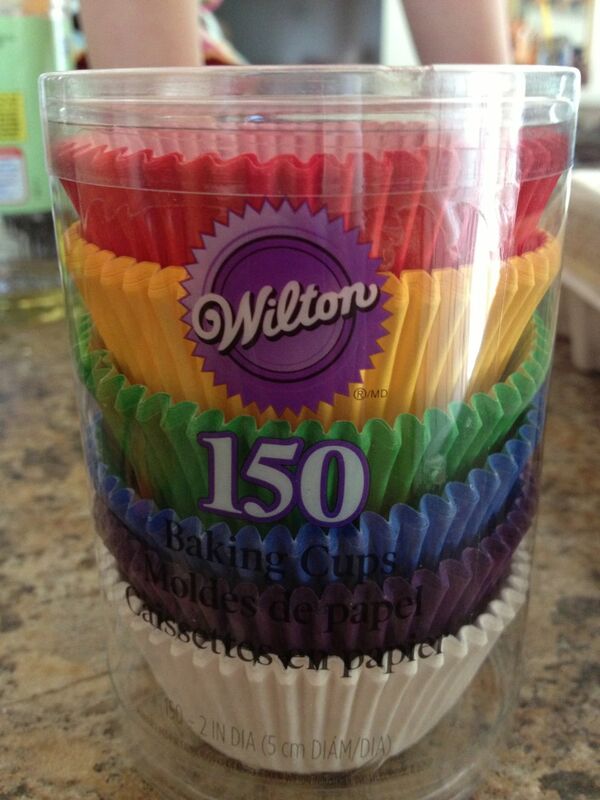 Even the cupcake wrappers are rainbow colors! Of course the birthday girl got a special cupcake complete with a mini unicorn. 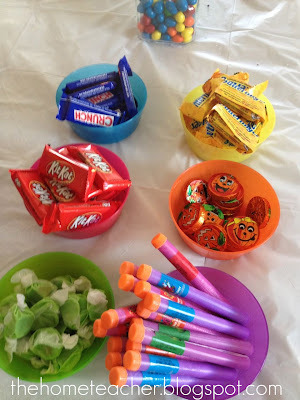 We started out decorating trick or treat bags with rainbow stickers and markers. Once they finished that, they could work on making a rainbow fruit loop necklace. 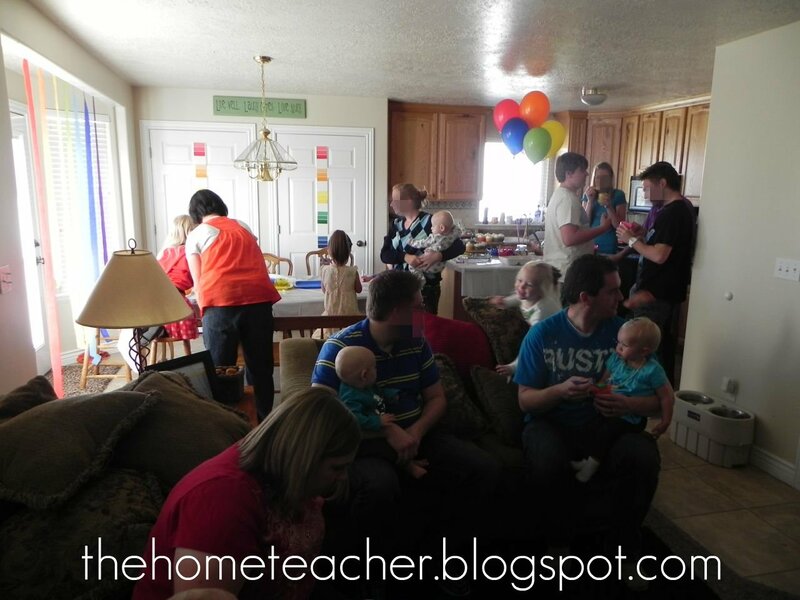 While the kids worked, the adults mingled. 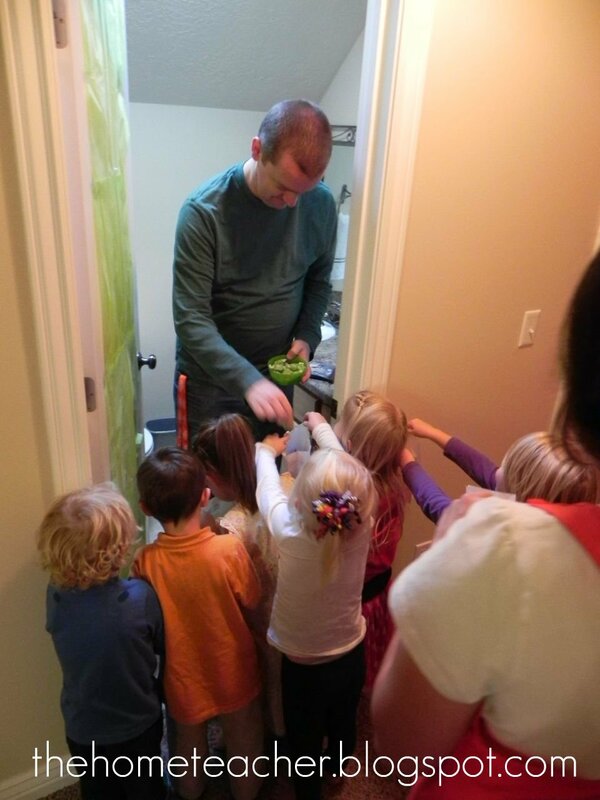 I am still shocked at all the people we fit into our house! 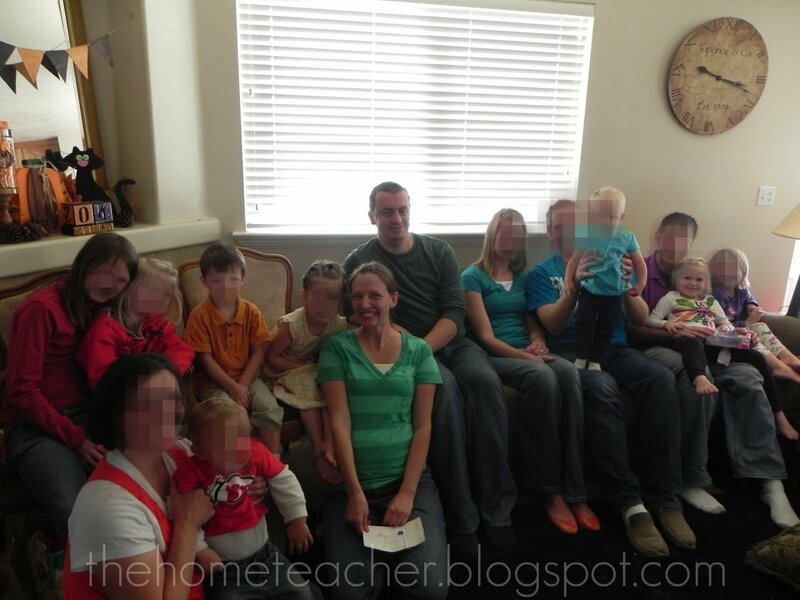 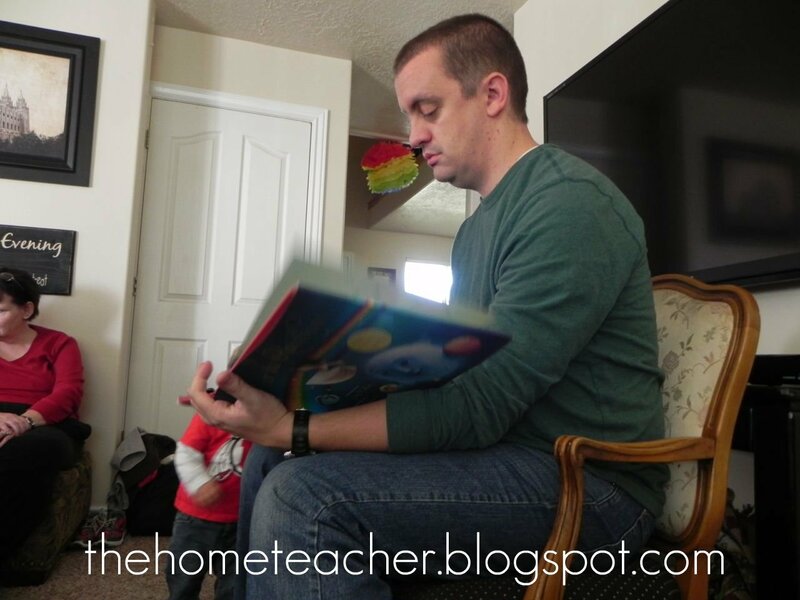 Once the kids were done with their bags, Aaron read them the story “Somewhere Over the Rainbow”. Its a tradition to incorporate storytime into Boo’s birthday parties. I pick out the book- and Daddy reads it! We all came dressed in rainbow colors- except Boo who was wearing a rainbow shirt. In the basement, we had unicorn races. 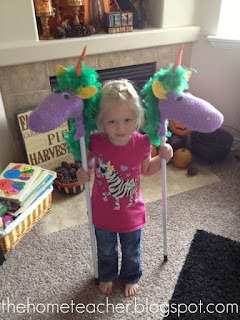 I made my own stick horses using socks and a broomstick and added a foam cone to make it a unicorn. 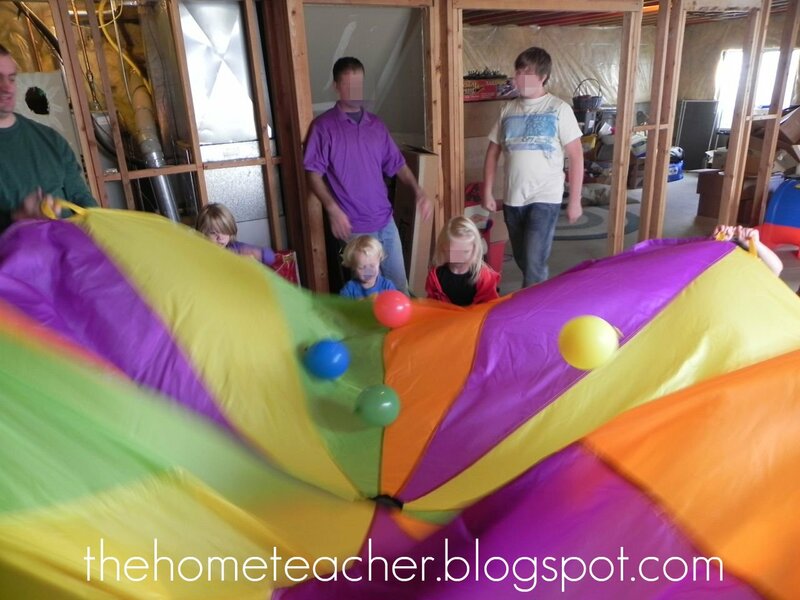 We also played with a colorful parachute and rainbow balls. 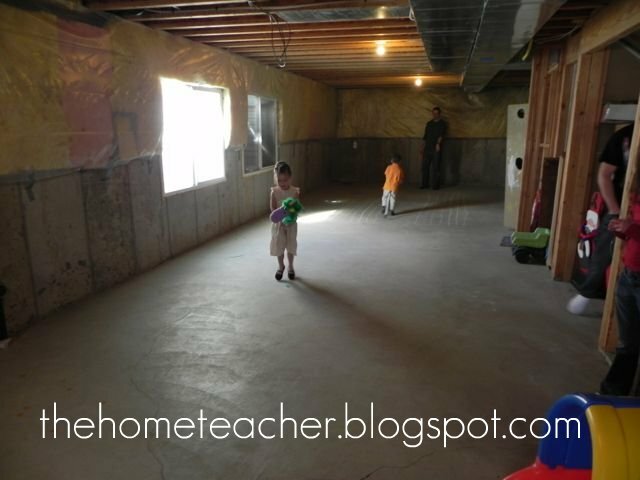 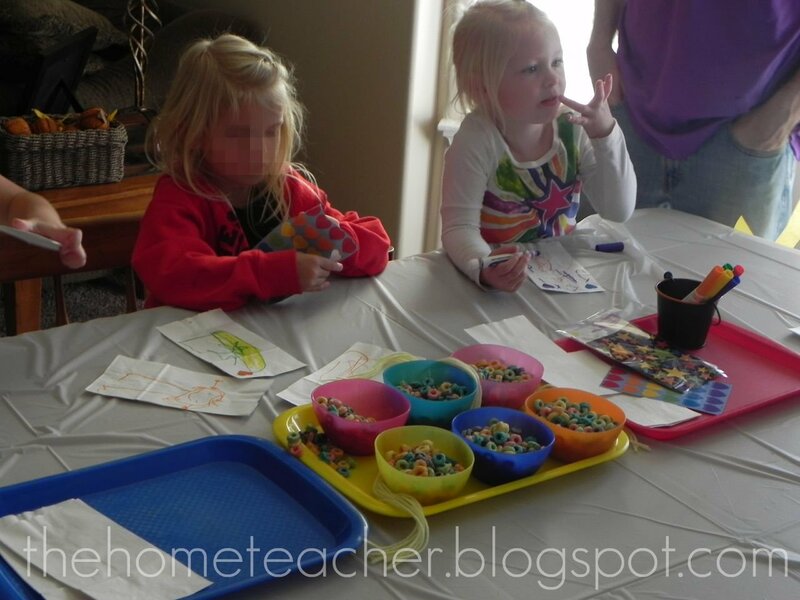 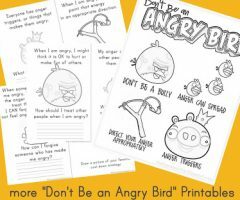 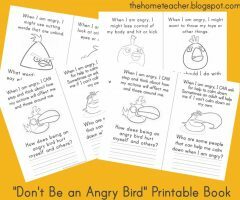 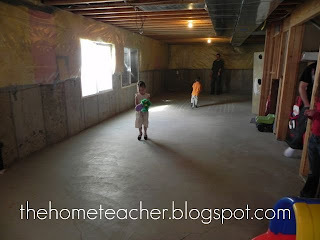 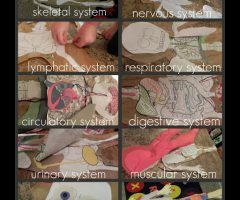 The kids had a riot with this activity! 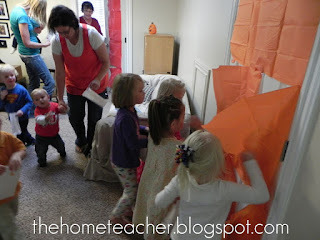 Our culmintating activity was rainbow trick or treating. We have 6 doors upstairs that I decorated with tissue paper. 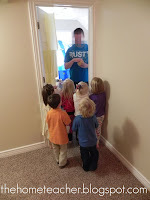 Luckily I had some awesome volunteers who stood behind each door and passed out candy that was the same color as the door. The actual day of Boo’s birthday (Halloween) I used rainbow streamers to create a path around our entire house leading to a special treasure: a giant diamond paperweight. 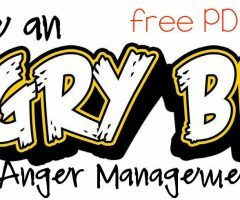 Fake, of course 🙂 A special treasure for my most valuable treasure! 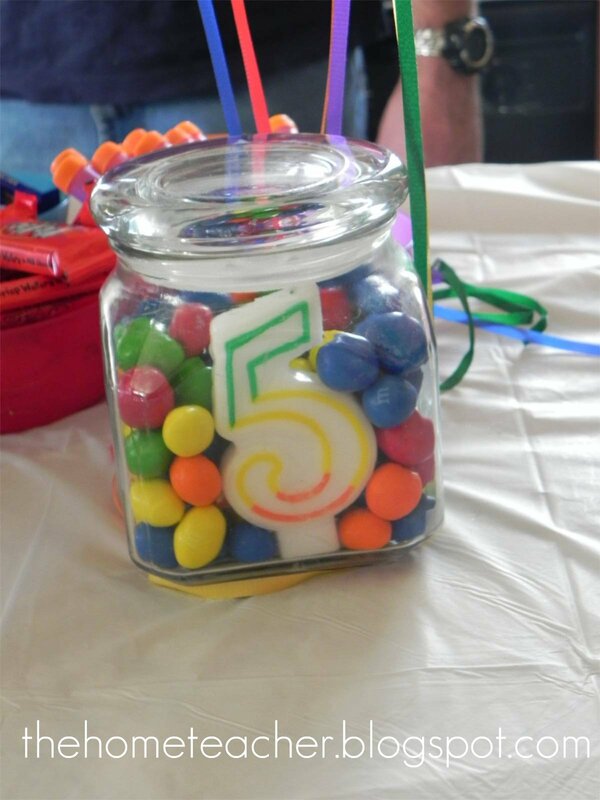 This entry was posted in colors, Halloween and tagged birthday, boo, party, rainbow, unicorn on March 5, 2013 by ktoponce.